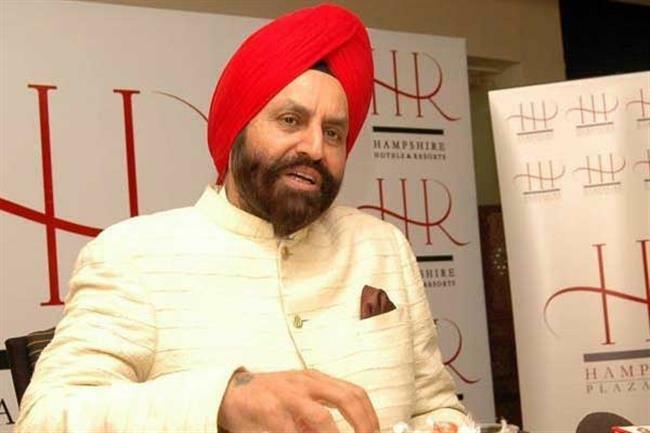 United States,July 24,2018 - In the wake of reports regarding the detention of 52 Sikhs at a United States detention centre, Indian-American businessman Sant Singh Chatwal said an investigation is underway into the “unfortunate” incident. “The matter is under investigation. We are checking on their involvement (with the contingent of illegal immigrants who are seeking asylum). I am sure that the US will make a fair decision. What happened there is an unfortunate thing. I can’t say much, but if an Indian in the US gets into a problem, we help them,” he told ANI. Chatwal then went on to explain how he himself was embroiled in a huge case in the States. “I also had a case where I gave money to Hillary Clinton and Bill Clinton for some political interests. A judge, who was 92 years old told me that it was not illegal and there were no implications. In America, there is a justice system. If that thing wasn’t there, then I would have been in jail today,” he said. Talking about the strict immigration rules imposed by the Donald Trump administration, Chatwal implied that such regulations have to be relaxed and modified. Last week, reports emerged that 52 immigrants, mostly Sikhs were being held at a detention centre in Oregon for being part of a contingent of illegal immigrants seeking asylum. The revelation was made when a group of Democratic Party lawmakers visited the detention centre and later told the media about the alleged ill-treatment of the immigrants, according to several media reports. The 52 immigrants, who are from different states of India, are getting legal assistance from a law firm in the jail in Oregon (Sheridan). External Affairs Minister (EAM) Sushma Swaraj had sought a report from the Indian embassy in the US on the matter on July 16. Thereafter, Navneet Kaur, who accompanied members of the above mentioned law firm to the detention centre, said, “According to the information I have, there are about 52 detainees from different states of India. These men, whose ages range from 18 to late 30s, have been in prison for almost two months”. “When they were transferred to Sheridan, these men went through hardships, but their condition has considerably improved due to the intervention of organisations like American Civil Liberties Union, Interfaith Movement for Immigration Justice, interfaith communities and Innovation Law Lab,” she added. Kaur also noted that the prisoners were being prepared for ‘Credible Fear Interviews’, whereby a person who demonstrates that he or she has a credible fear of returning to his or her home country cannot be subject to deportation from the US until the person’s asylum case is processed. “On Tuesday (July 17), Asit Dutta, from CGISF (Consulate General of India, San Francisco) visited the prison. He also met with the ICE (Immigration and Customs Enforcement) officer on the premises,” she continued. Kaur has assured the parents of the 52 immigrants that “Americans are standing up for their sons”.